JSW - Vasind Works - Overview to improve your experience. Located 80 kilometres away from Mumbai, JSW Vasind works is a part of today India’s biggest producer & largest exporter of coated steel. 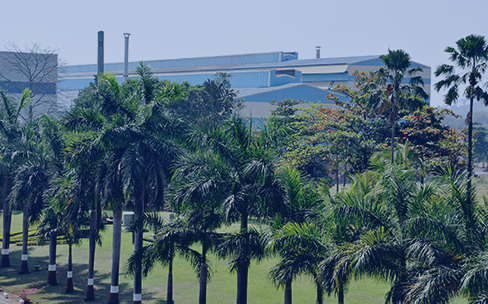 With one galvanizing line, one galvalume line and two colour coating lines, the Vasind plant is one of the leading producers of coated steel in both the domestic and international markets. Major export markets are US, Europe & Middle East. It is also home to the first-of-its-kind appliance grade colour coating line, which primarily produces steel for refrigerators, air-conditioners, washing machines and other home appliances. Over the years, Vasind has expanded its product range. It has also widened its reach in the community, through social and cultural initiatives that have a positive impact on thousands of lives. 2016 The CGL-2 was converted into a GL. With time, Vasind has grown in scale and ambition. Today, it prides itself on creating an environment where employees get plenty of opportunities to thrive, both at work and beyond.